Damiana can be enjoyed by both partners, it adds enjoyment to intimacy for both men and women. 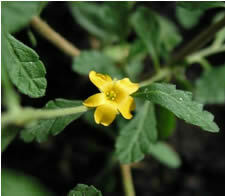 Damiana is Mildly euphoric, stimulating and increases both mental and physical awareness. Damiana contains alkaloids and tannins that account for both the bitter taste and medicinal properties. This tea is not just for lovers, it is also useful as medicinal tea in bladder infections, fatigue and depression, and sluggish digestion.